Large-scale multi-service IP networks have to offer the ultimate in performance and reliability at the central site. 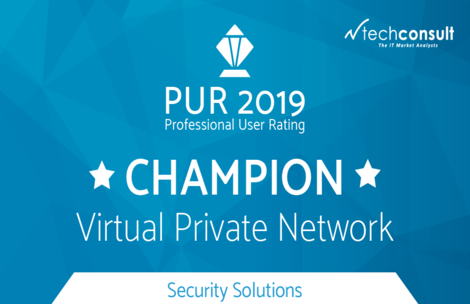 The LANCOM ISG-4000 is the secure and future-proof heart of your VPN networking strategy, thanks to its powerful platform with state-of-the-art encryption technologies, freedom from backdoors, and redundancy features. Use SD-WAN to effortlessly connect your sites, branches, and remote workers. 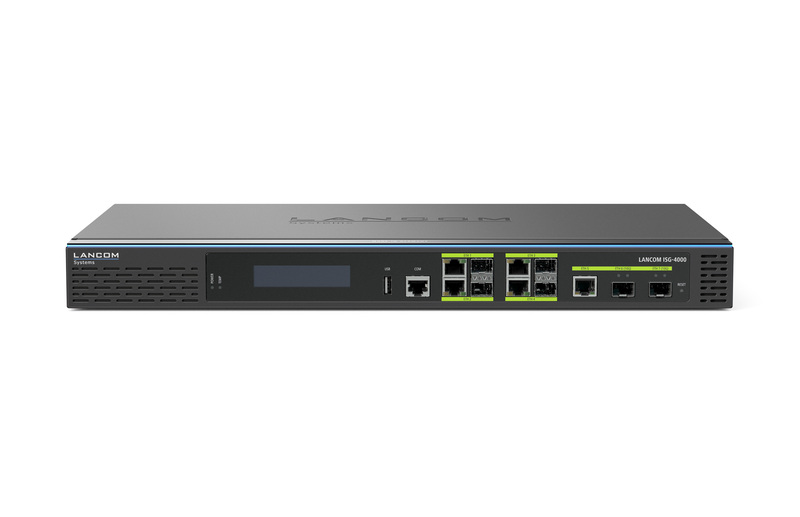 You can also upgrade this integrated services gateway with additional features such as a hotspot, clustering, or up to 1,000 VPN channels. 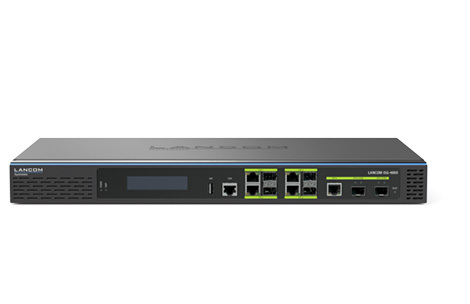 The LANCOM ISG-4000 is the central instance of your network infrastructure. 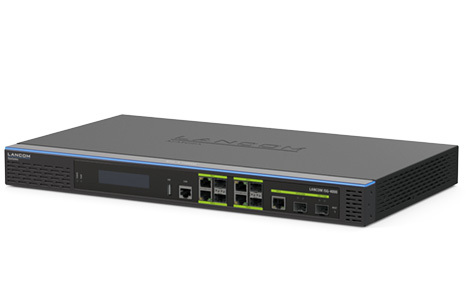 Reliable security for large enterprise scenarios, state-of-the-art encryption technologies via 200 integrated VPN channels, and the demand-oriented ports (2x 10 Gigabit SFP+, 4x combo ETH/SFP, 1x Ethernet, and 1x USB) give you optimal conditions for networking mobile employees, protecting your internal company data, and securing sensitive network segments or branch offices. 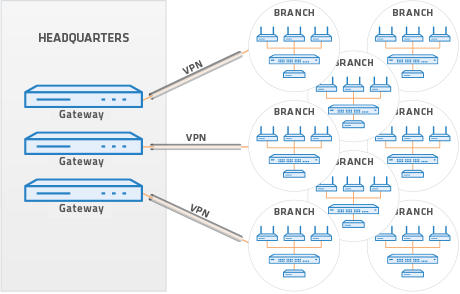 The LANCOM VPN option upgrades the gateway to support up to 1,000 VPN channels. This ensures that your network is perfectly scalable and can grow on demand—without requiring additional hardware. From fiber-optic to Ethernet and USB ports: As the core of the network, this integrated services gateway enables an endless range of applications. You benefit from four combo ports with Ethernet and SFP interfaces, giving you the freedom you need. Two 10 Gigabit SFP+ ports also increase the capacity of your data transfers to servers, network storages or switches. The LANCOM ISG-4000 integrates features that go far beyond routing and monitoring, making it a universal tool and a reliable component of your network. The LANCOM ISG-4000 comes in a high-quality all-metal housing with an integrated power supply unit. Thanks to the mounting system, it is easy to install in a 19" rack—featuring connection ports redirected to the front, it is quick and easy to work with. The display on the front of the device provides a continuous overview of various information including the temperature, CPU load, and the active VPN tunnels. You can see in an instant if your network is operating properly or if you need to act.